Dealing with tree roots isn’t the most glamorous job for any homeowner or Arborist. But, when roots begin to intrude on a home’s foundation and infrastructure, there’s bound to be trouble and it should be addressed right away. Trees are so plentiful in this region that we tend not to see them. 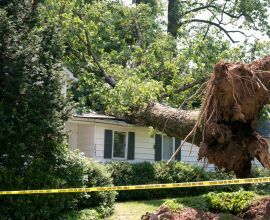 It’s easier to be aware of large branches dropping on your home, but what could cause more expensive damage is likely happening right under your feet. Even though tree roots grow very slowly, they actually put a tremendous amount of pressure on the surrounding soil and whatever is built on it. As they grow and reach out in search of water and nutrients, they displace the ground around them. While clay soil will compact more tightly, loose, dry soil will shift and may fail to support a structural load. The roots themselves generally cannot cause direct damage to buildings and their foundations, but all of that soil displacement certainly can. When the ground moves, whatever is sitting on will move, too. Older, deteriorated building materials may develop cracks, which would then allow smaller tree roots to penetrate and cause further damage. By their very design, drainage systems are a powerful attractant for tree roots, particularly in dry areas that get less rainfall. Standard drain pipes are actually perforated to allow for waste water to move through the building’s interior plumbing to the ground. These little holes are the perfect invitation for tree roots as they can easily creep inside. In severe cases they can completely block or even force the pipes to split open. Older clay pipes whose joints have deteriorated are also susceptible. 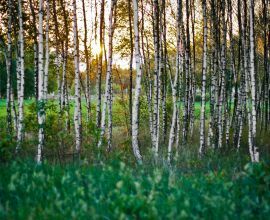 Some tree species, such as aspens, maples, and willows are particularly invasive, as their roots can reach as far as they need to in search of water. 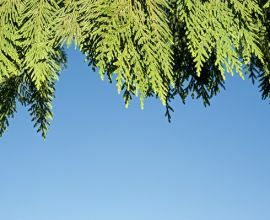 While trees are essential additions to your landscape, their roots often take over areas intended for other plantings. Gardening is limited in the spaces around the trees because of intertwined roots growing just beneath the surface, and what you plant will usually have to compete with them for water and nutrients. Asphalt may bulge, buckle and crack if put down too thinly over tree roots. And, while they won’t directly damage solid concrete, roots can certainly displace enough soil to cause a driveway or sidewalk to buckle. Prevention is critical to avoiding costly root intrusion. 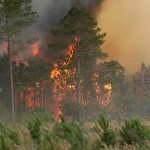 This should include selecting only the trees and shrubs that present the least threat to nearby structures. 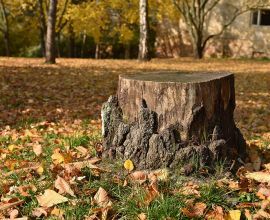 While there is no guarantee that a tree’s roots won’t eventually work their way under a foundation, planting trees at least 50 feet away is a good start. As for established root problems, sometimes the only solution is to remove the tree and as much of the root system as possible before making any structural repairs. How can you tell if root intrusion is a problem for you? 1.) 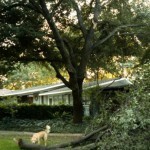 If a tree has branches that reach over your house, it has roots under it. 2.) If roots are visible above ground anywhere near a structure, there are most likely roots under it. 3.) If your driveway/sidewalk is cracking and/or uneven, there are probably roots under it.